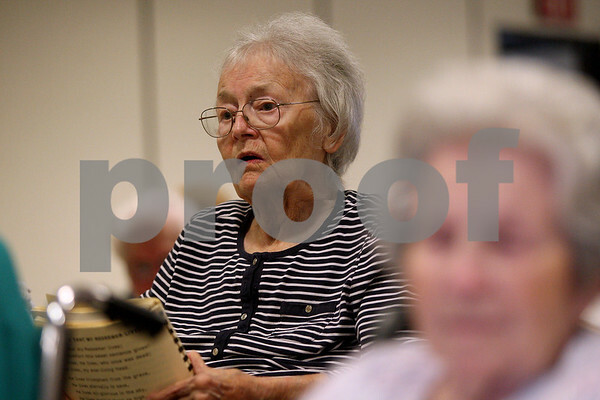 Vivian Wright sings along during a worship service at the DeKalb County Senior Center on June 24, 2014. The Christian Service Ministry offers non-denomination worship services at 15 places across DeKalb County. The group brings worship services to seniors in nursing homes.